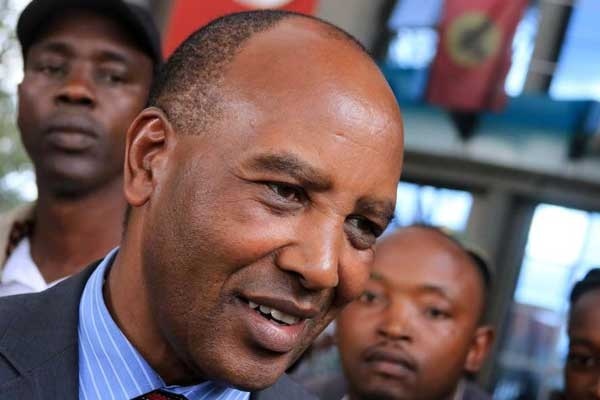 Saturday September 15, 2018 - Nyandarua Governor Francis Kimemia has responded to claims made in a controversial book by a former commissioner in the Truth Justice and Reconciliation Commission (TJRC) that he attempted to alter the TJRC report. Kimemia, who was Secretary to the Cabinet at the time, strongly refuted the claim insisting that the author of the book, Ron Slye, was gravely mistaken stating that he threatened no one. “Thirdly, why did he have to wait for all the years to make the allegation?" Kimemia asked. He advised Slye to re-examine his mental status over the damning accusations because it is only insane people who can allege that. In the book titled "The Kenyan TJRC: An outsiders View From the Inside" Slye accused Kimemia of threatening the commissioners with strange calls until they altered the TJRC report that had implicated President Uhuru Kenyatta’s father, Mzee Jomo Kenyatta, over land grabbing.